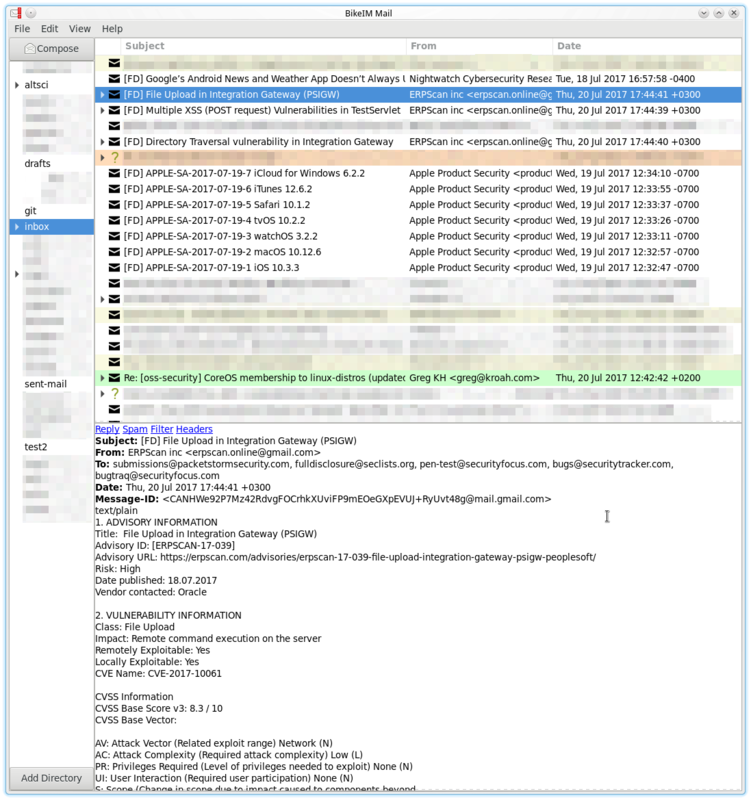 Welcome to BikeIM, a project designed to provide usable, reliable, secure Mail software for small groups of people. 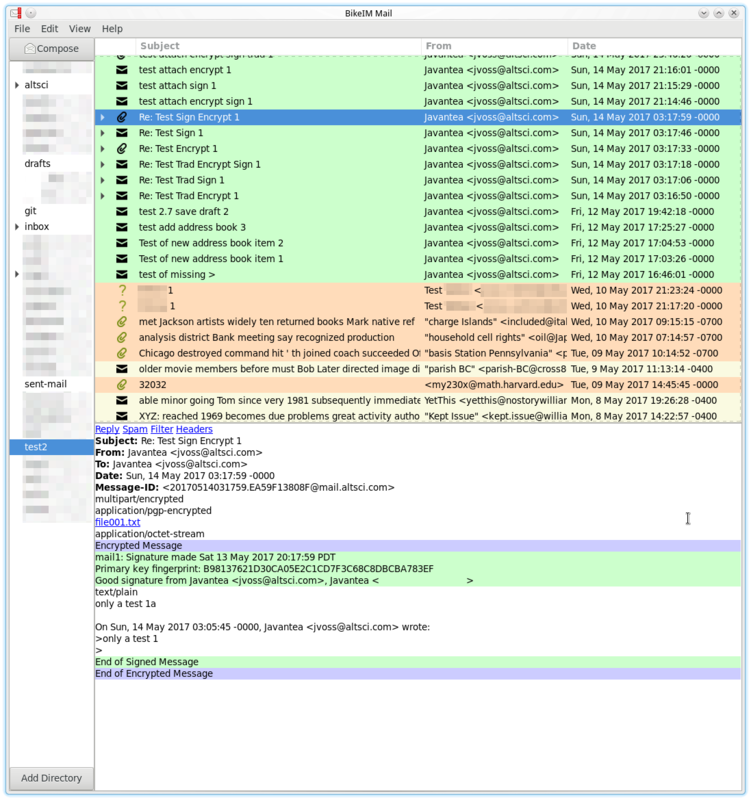 BikeIM is Open Source, GPL. 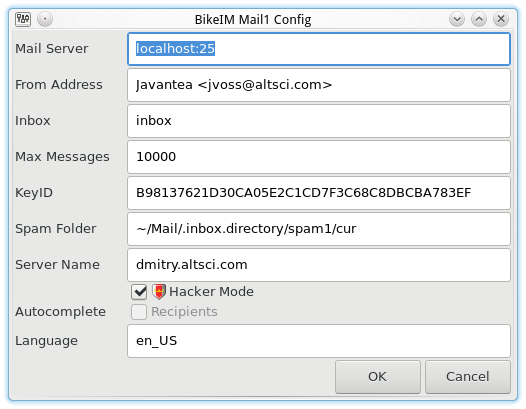 The second released version of BikeIM (0.6+) is a Mail Client written in Python. 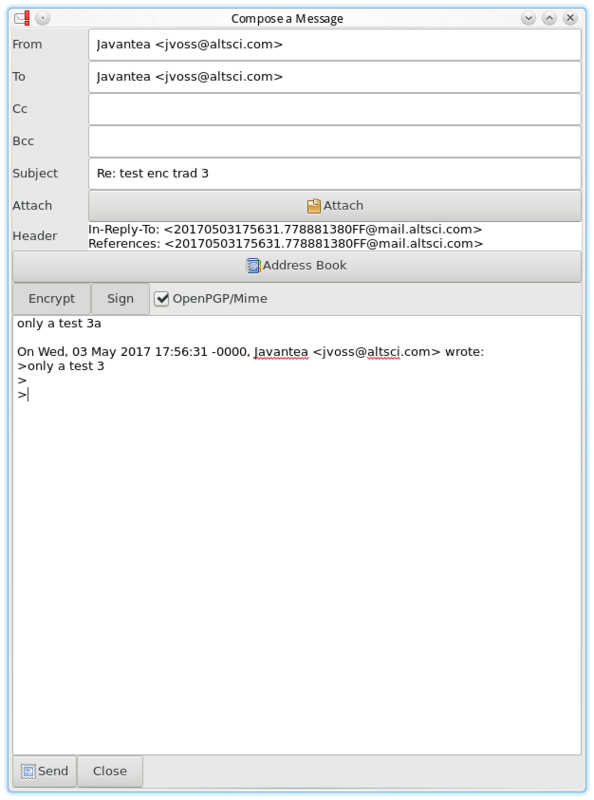 It contains a graphical interface and a command-line interface and is compatible with any SMTP server that uses maildir format. It is currently in Beta phase, but improvements will be released in the future. 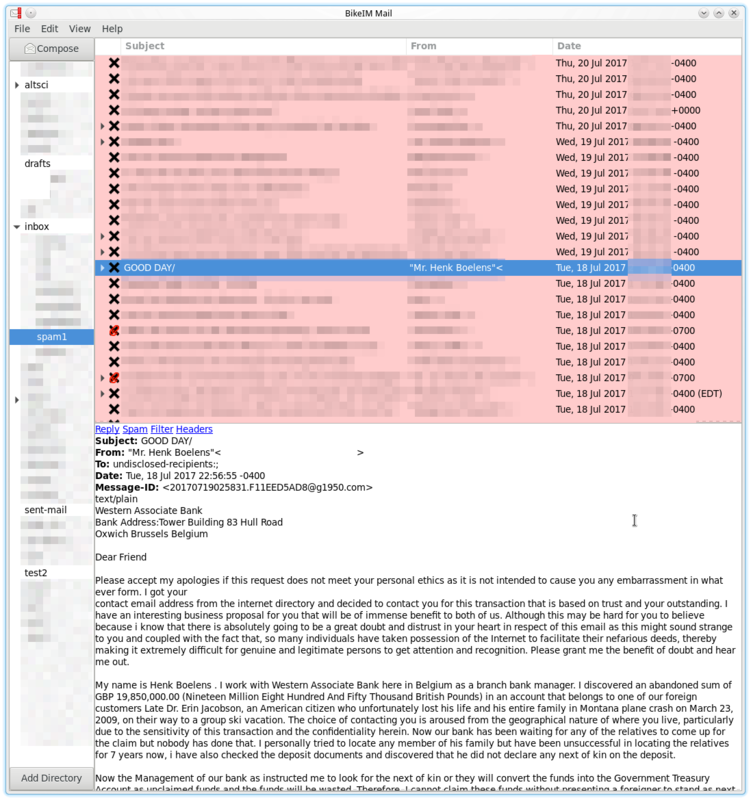 Report bugs and contribute patches on the wiki. 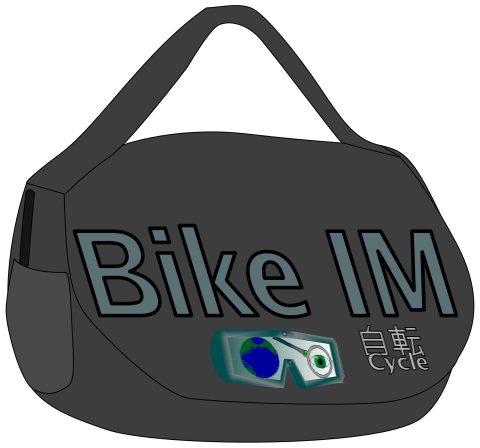 BikeIM is a part of the AltSci Concepts Network.